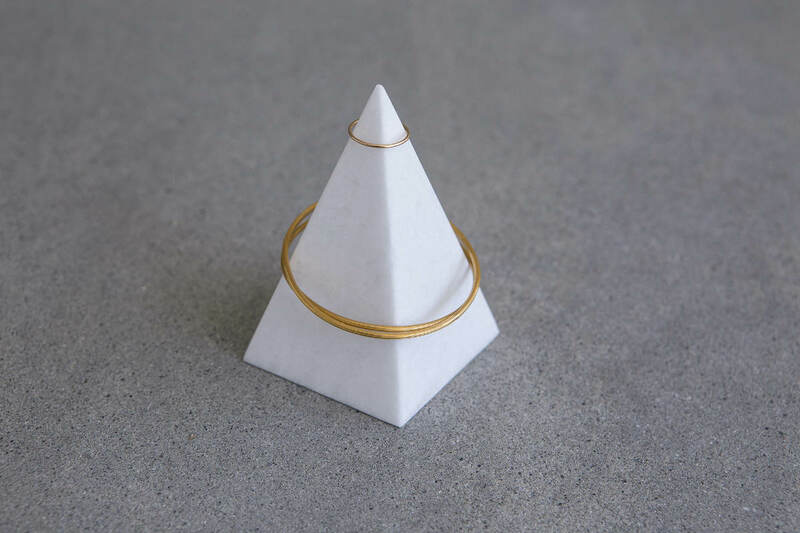 This small and elegant pyramid will keep your bracelets, rings, and hoops safe. It matches perfectly with the RING HOLDER. Item can be used in countless ways! The only limit is your imagination. For tips on how to take care of the product, click on the cross at the end of the page. deteriorate surfaces, after prolonged contact. Use green soap and water for proper maintenance and cleaning or cleaners with a neutral Ph. Marble surfaces are ultra-hard, however some metallic and/or sharp utensils may cause scratches.